No floor or table space? 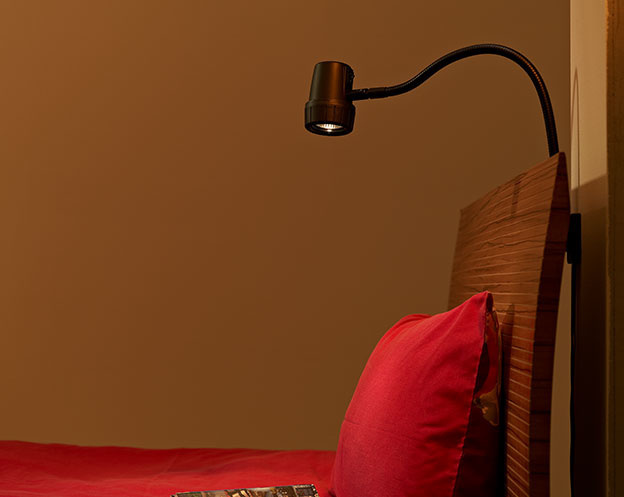 Our range of wall mounted reading lights project high intensity colour corrected beam onto your reading material. 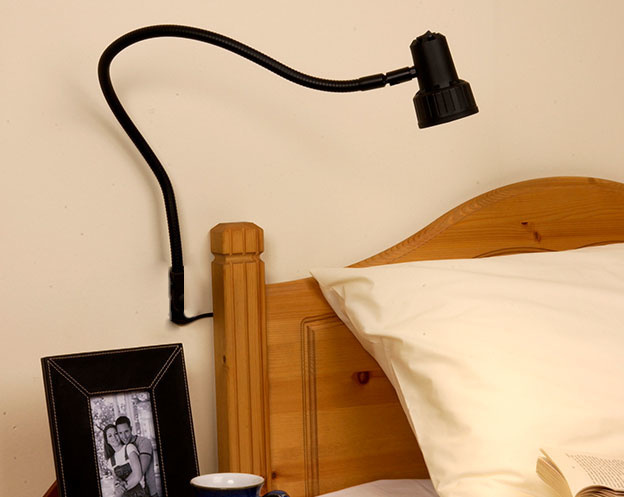 Mount to the wall with a bracket and position the flexible arm for the ultimate reading experience. 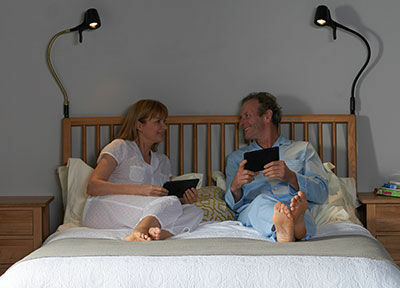 Why choose a Serious Wall Mounted Reading Light? Optimise your posture and well-being by stopping you from unconsciously straining when you can’t see clearly. 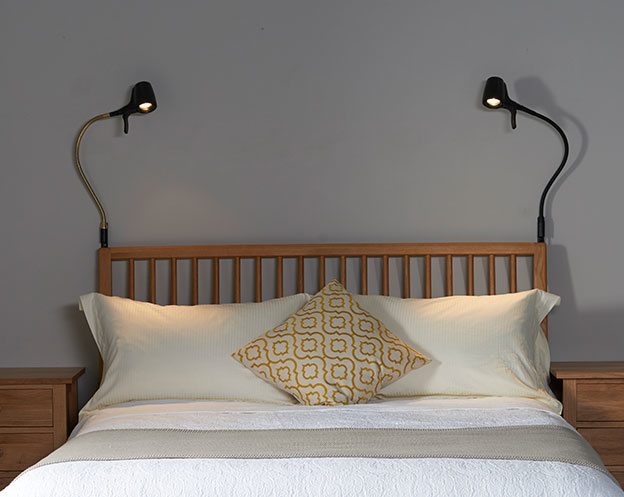 We then developed a range of wall lights after repeated calls for a wall-mounted solution, ideal for the spaces where you can’t fit a floor or table light. 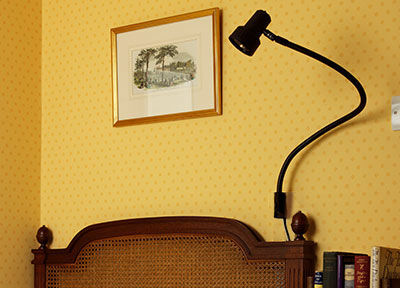 If you don’t have space for a floor or table light in your reading area, the Serious wall mounted reading light is the ideal solution. 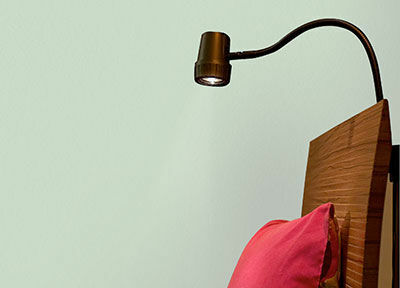 Simply mount to the wall with the included bracket, hiding the cable in a stud wall, and your reading light is ready to go. Really well made lamp which is unobtrusive near my armchair and gives wonderful quality light. One of the best purchases I've ever made. Excellent light and very good service. The cable is fed through the base of the bracket and the control gear is housed in the special plug. This wall light model is not available for direct wiring into lighting systems or for hiding the cabling inside a wall cavity. Available in Plug-in or Hard-wire formats. The Alex Wall Light offers a crisp, energy efficient beam. Disappear into the story for longer and in more comfort while the light takes the strain, not your eyes.